Regular visitor with Chocolate Labrador Max, staff always very attentive to the dog as well as us. Lovely food for us humans and the staff always ask if Max wants a “wee” treat which he never refuses. Dogs are made very welcome inside in the conservatory area and if it is busy there (but quiet in the main area and the dog is well behaved) they may be allowed in there. Seating outside to relax in the summer with views over the loch. 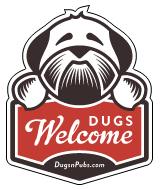 There are a total of 3 dog friendly listings in the Nth Lanarkshire category. Please log in, or sign up as a member to view all listings.